If you love shopping, then Washington DC can offer you an all-inclusive shopping haven for your passion. For starters, there are a lot of souvenir shops if you want to find some great political memorabilia and White house items. The museum shops beside the national mall are actually the best places to go for gift shopping. Washington DC can be conservative on the fashion and home furnishing aspect but the people there come a long way in terms of clothing and lifestyle. As we all know, Washington is the center of politics. This is a good place to shop for commemorative items such as buttons, sign photos and other similar items. Tourists and serious collectors can enjoy the shop of Political America. If you want to bring home White House souvenirs that are a big hit, then shop at its visitor center. There is also a White House museum shop located at the beautiful townhouse in Lafayette Square. Try also the Stephen Decatur House for items with Washington flavor. It focuses on items related to American history and architecture. Explore the shops found in Georgetown. It is considered an historic waterfront. 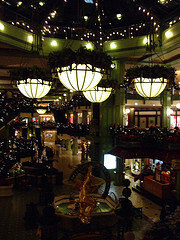 It is a four level urban mall and has upscale shops from Ann Taylor, Ralph Lauren, Abercrombie & Fitch, and more. There is a concierge center at the lower level if you need gift wrapping help. The National Place is also a great place to check out. It has more than a hundred stores and restaurants. There are two consignment shops found in the DC area. One is ‘Once Is Not Enough’ where you can find items from Escada, Prada and Chanel. Another one is Encore Resale Dress Shop which carries clothing labels, shoes and bags. 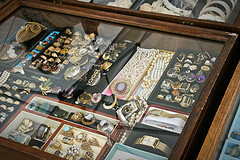 If you want to join auction for unusual items, check out the Weschler’s Auction House. They have a website if you want to check out their auctioned items. For best bargain, visit the Georgetown Flea Market that has different items like antiques, jewelry, toys, linens and more. Over seventy booths offer treasures for the best price. It is advisable to be early so you can have the best bargain. Washington DC was thought as a city that is serious however it is also a great place to shop for unusual items. Shopping in Washington DC is an experience in itself. It is good to keep aside some money for souvenirs and exciting items that are available only in this unique city.